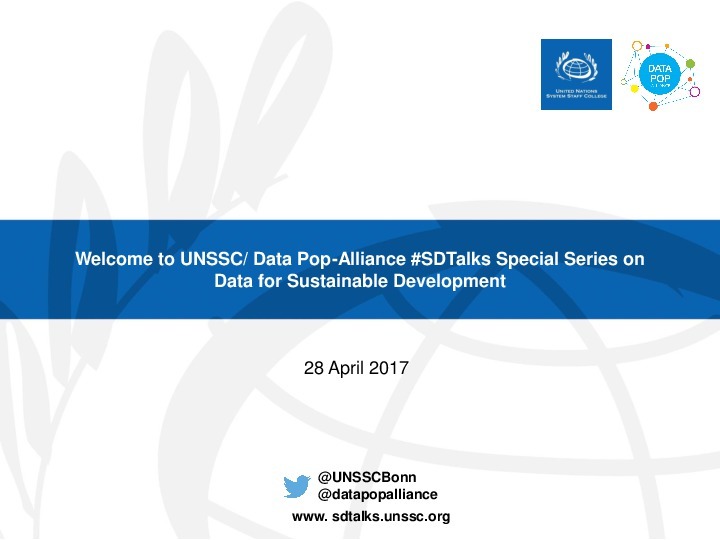 Organised by the UNSSC Knowledge Centre for Sustainable Development in partnership with Data-Pop Alliance, the second webinar session of SD Talks Special Series on Data for Sustainable Development was held on 28 April 2017. 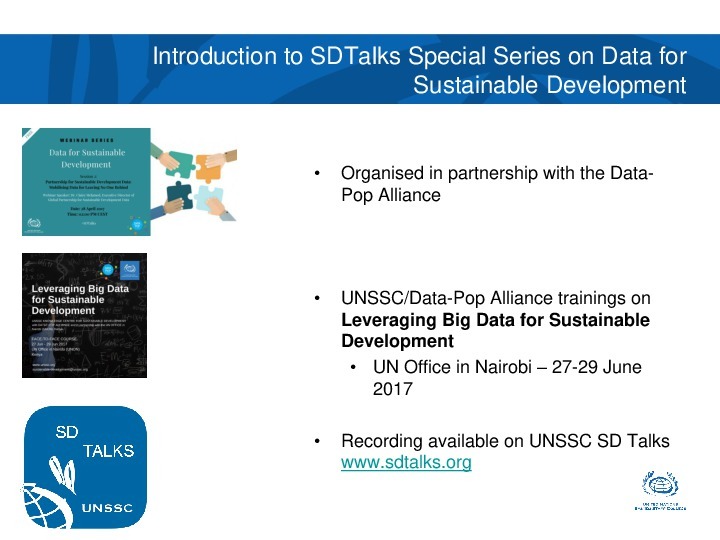 The session titled “Partnership for Sustainable Development Data: Mobilising Data for Leaving No One Behind” was delivered by Dr. Claire Melamed, Executive Director of the Global Partnership for Sustainable Development Data. 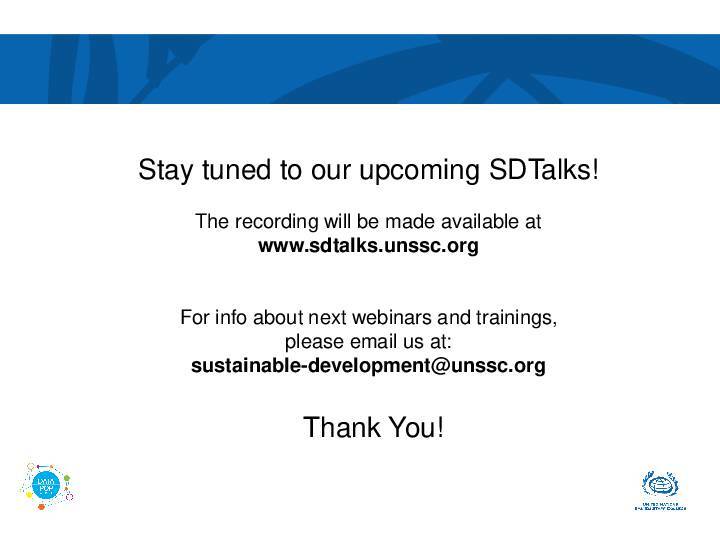 The webinar session shed light on the importance of partnering around data and introduced the Global Partnership for Sustainable Development Data initiative, which is a global network of governments, NGOs, and businesses working together to strengthen the inclusivity, trust, and innovation in the way that data is used to address the world’s sustainable development efforts. 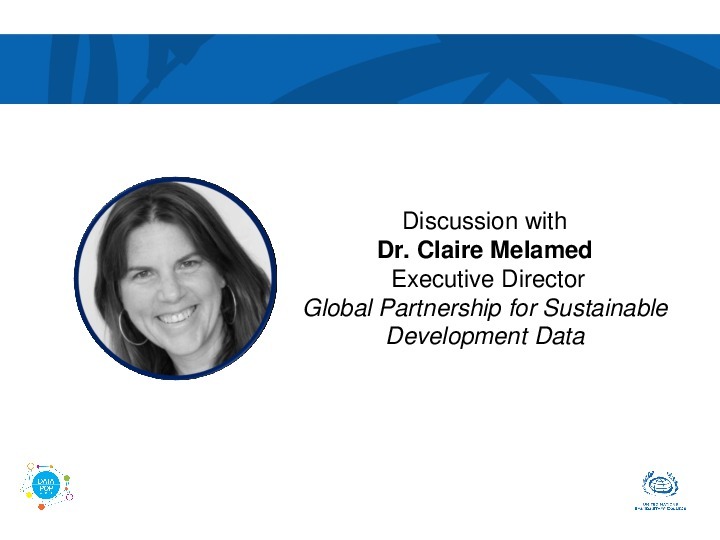 Dr. Claire Melamed is the Executive Director of Global Partnership for Sustainable Development Data. 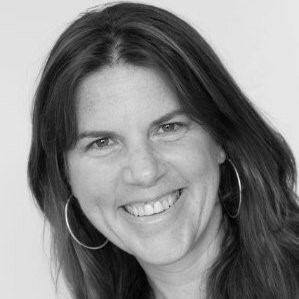 She was previously the Head of the Growth and Equity Programme at ODI, and prior to that, the Head of Policy at ActionAid UK. 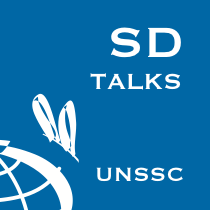 Dr. Melamed has been involved with a number of data revolution initiatives, including as lead author and editor of “A World That Counts,” an influential report commissioned by the United Nations Secretary-General on the importance of data to achieve the Sustainable Development Goals.